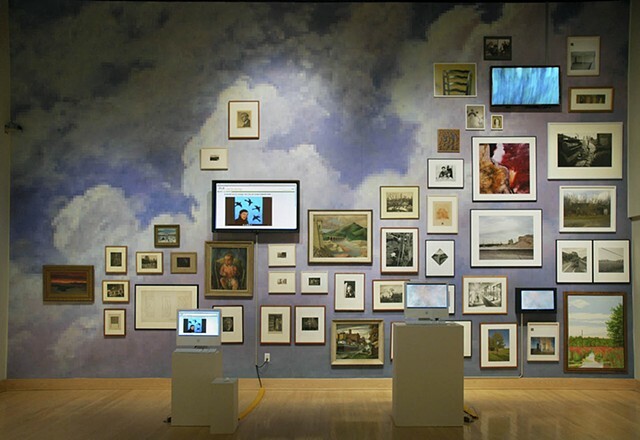 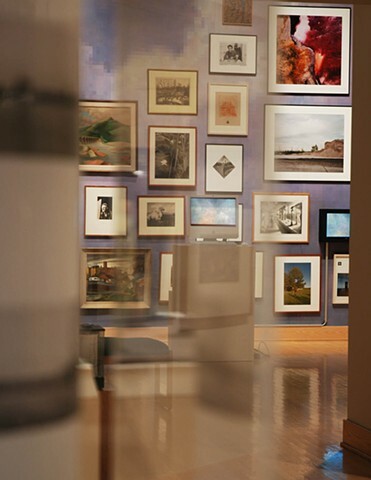 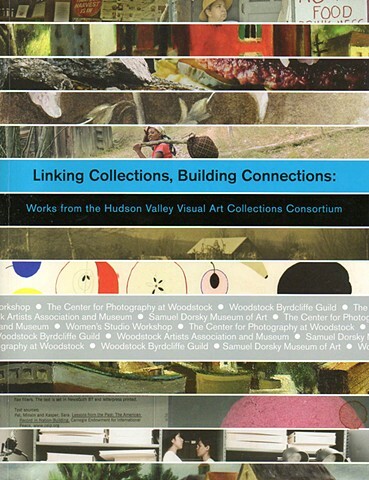 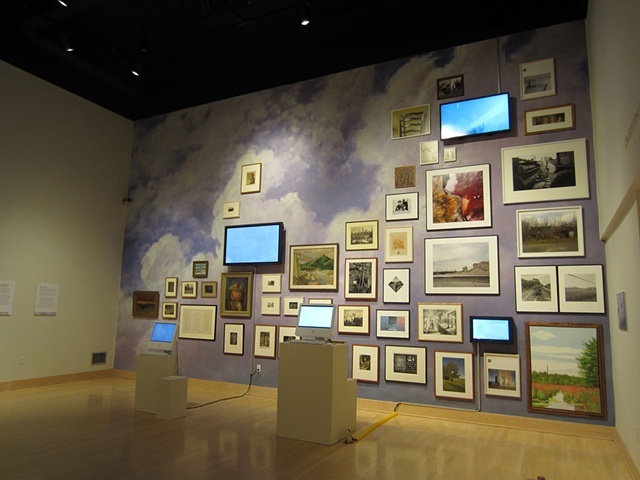 THE CLOUD is an installation that was commissioned by The Samuel Dorsky Museum at the State University of New York at New Paltz specifically for the exhibition Linking Collections, Building Connections: Works from the Hudson Valley Visual Art Collections Consortium. 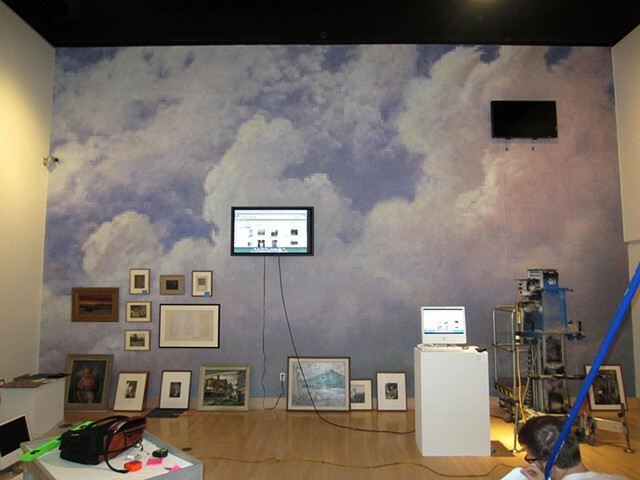 The cloud image that gives form to the constellation of artworks stretching across the wall is taken from an Albert Bierstadt painting. 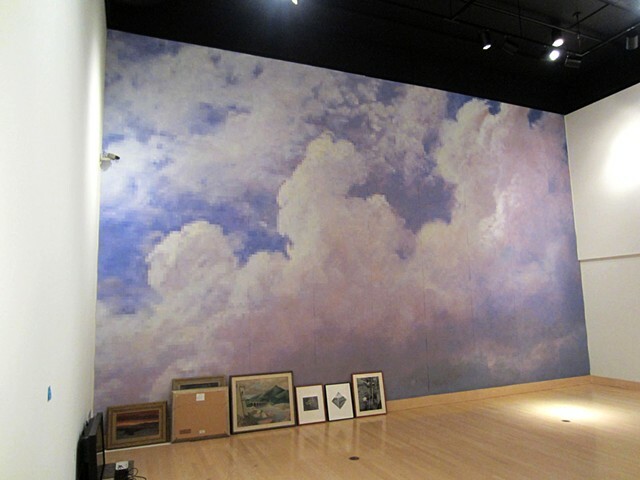 Creating a backdrop from a Hudson River School painting was my way of acknowledging that America’s first art movement was born right here in the Hudson Valley. 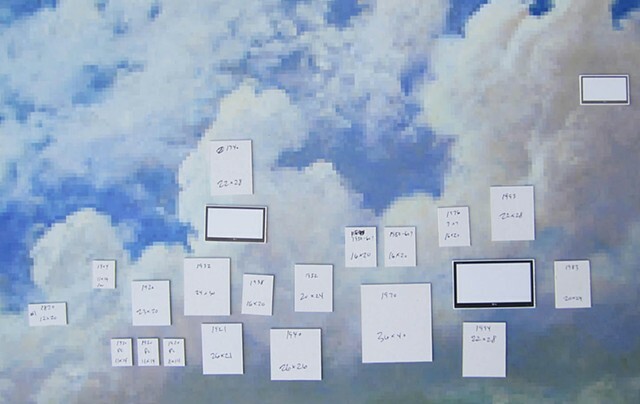 The cloud has also become a metaphor for the most up-to-date form of digital data management. 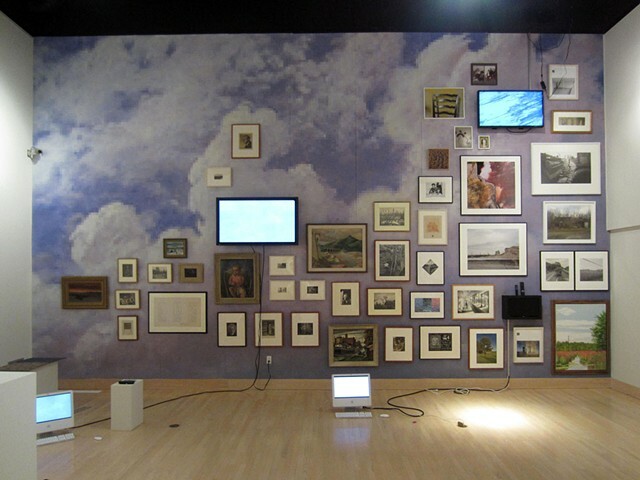 This cloud is wired with two computer stations that allow viewers to search the HVVACC image database. 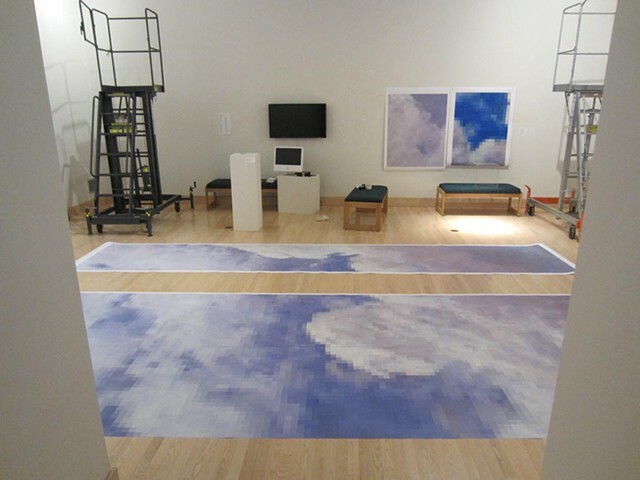 The Cloud was blown up from a small image that was downloaded from the internet. 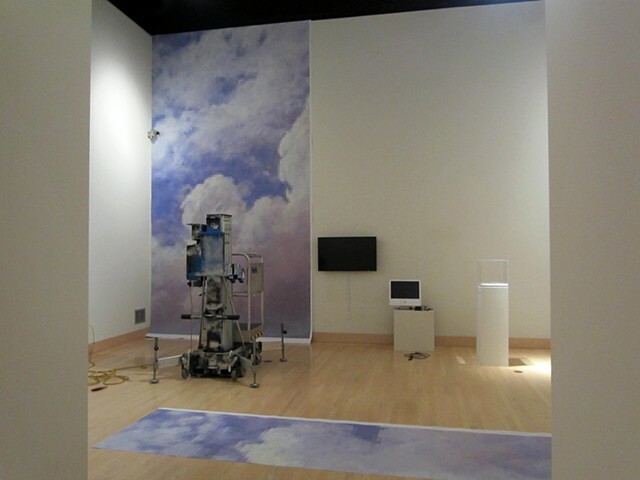 It was scaled up to 29 x 18 feet with eight pixels per linear foot. 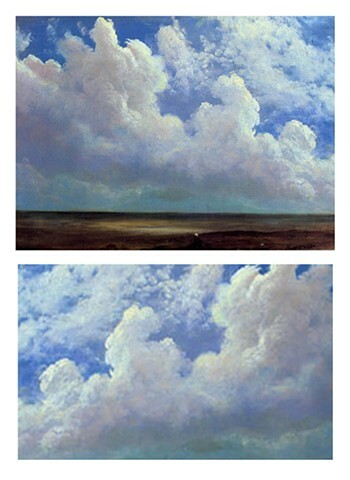 The effect from a distance is that of a massive but legible, pixilated but painterly cloud. 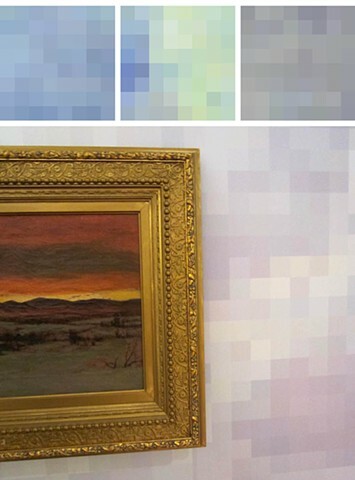 Up close, it is a reductionist grid of sky colors.